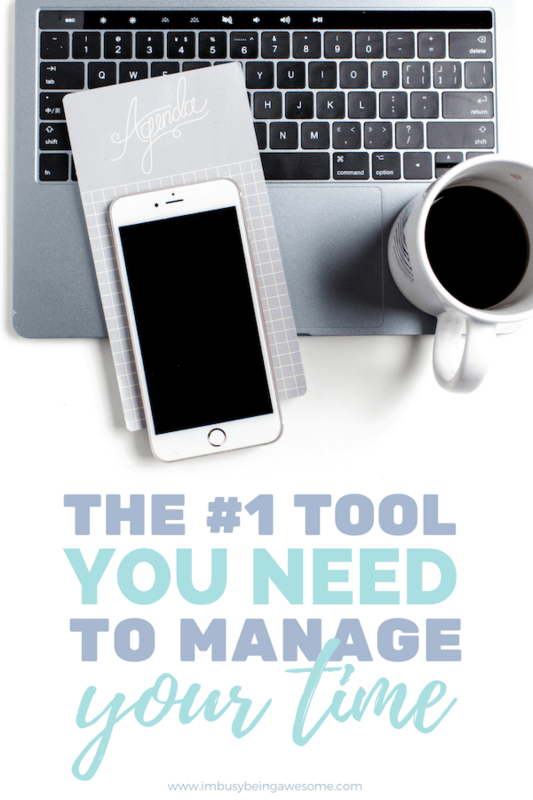 I hope you’re excited because today I’m here to tell you about my number one time management strategy: time blocking. I’ve been using this approach for several months now; it has been a real game-changer in helping me efficiently tackle my to-do list. 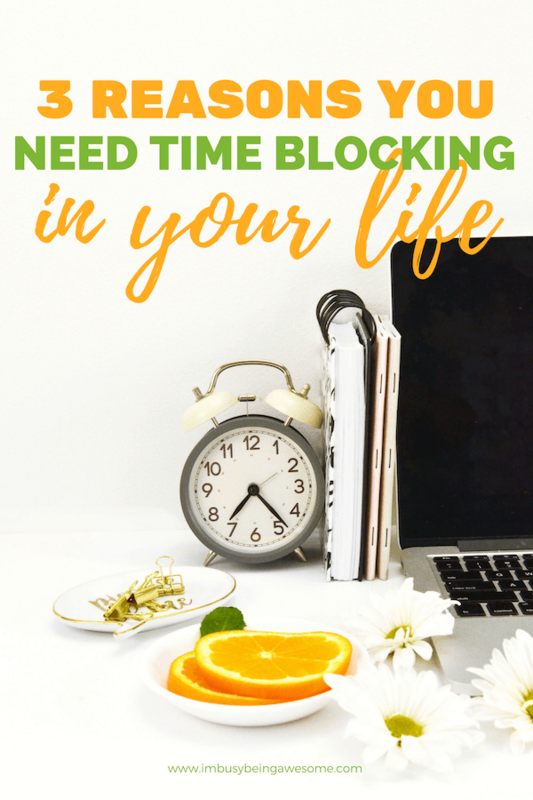 Now, if you’re reading this and thinking, “I’ve never even heard of this before…what is time blocking?” Don’t worry – this post is for you. 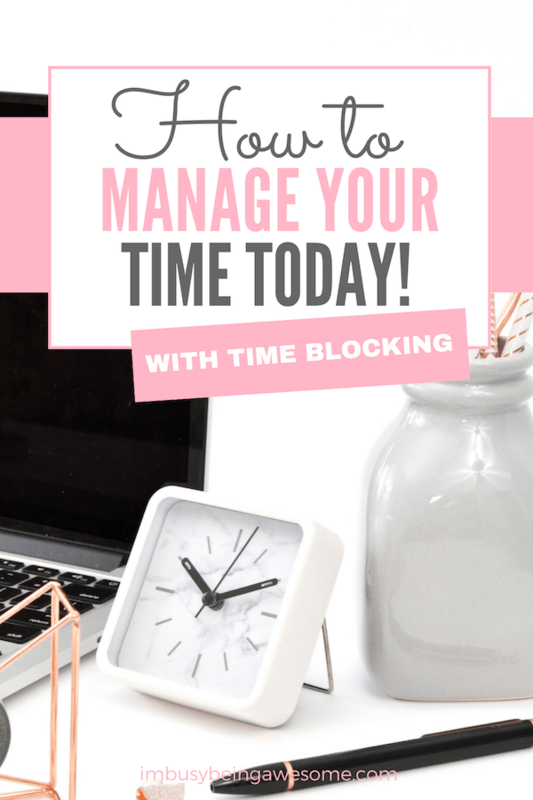 If you’re reading this and thinking, “I’ve heard of time blocking before, but it seems too restrictive.” Stick around – this post is for you, too. And if you reading this and thinking, “I’LL TRY ANYTHING! 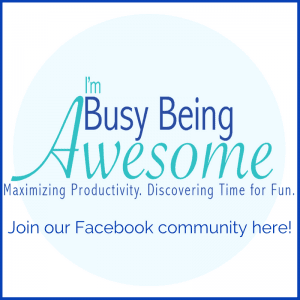 Please help me get through my to-do list!” Fear not – this post is definitely for you. So keep reading for an overview of the time blocking strategy and a lowdown of its many benefits. Learn about different ways to approach the process, and download a FREE time blocking template to get you started TODAY. 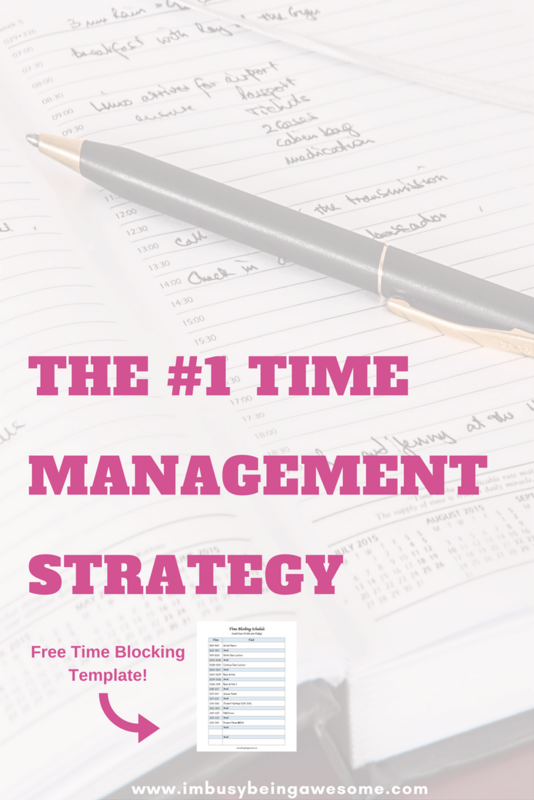 Simply put, time blocking is a strategy where you break up your day into clear blocks of time. Then, you fit your to-do list into those windows. 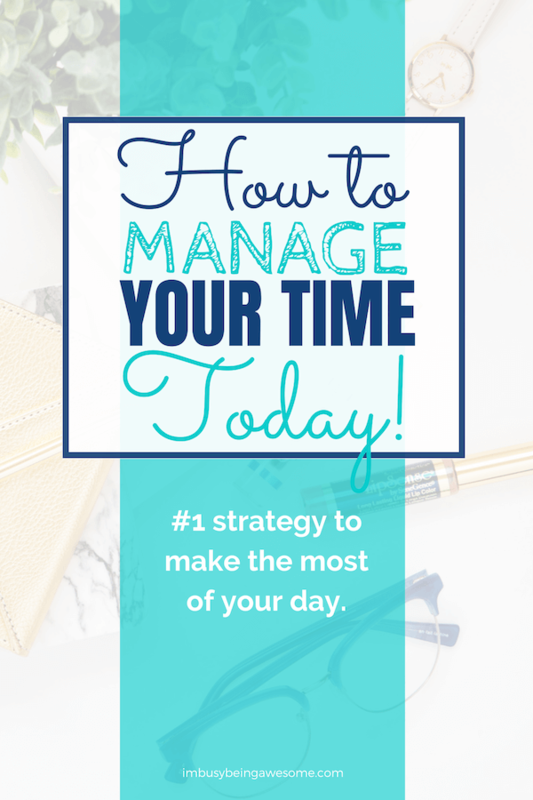 There are countless benefits to implementing this time management strategy in your life. Whether you’re a 9-5er, a stay-at-home-parent, or an entrepreneur, efficiently accomplishing your projects is key. Time blocking will help you get there. One of the big benefits of time blocking is that it gets the ball rolling. Often times when we stare at our lengthy to-do list, we face a sense of paralysis. With so many tasks in front of us, it is difficult to know where to begin. This often results in wasted time as we gaze blankly at our assignments, trying to decide which obstacle to tackle first. Fortunately, when you have your schedule laid out right in front of you, that wasted time disappears and you can get right to work. I don’t know about you, but when I have a long list of tasks to complete, I struggle to focus on just one. Rather, I find myself bouncing from one thing to the next, convinced that “multitasking” is more efficient. Of course, studies have proven that in most situations, multitasking is less efficient than doing one job at a time. Instead, you are simply attempting several things less efficiently. Nevertheless, this multitasking mindset has really dug itself deep into our minds as the most efficient way to get things done. Luckily, time blocking helps pull us out of this mentality. When I *realistically* block out my time, and I can see everything that I will accomplish in a day, I experience an immediate boost of motivation. I get excited about moving forward and tackling my goals. What’s more, in addition to quickly completing my work, it also means more free time at the end of the day. If I can get through my to-do list during the work day, then those extra hours in the evening are open for the taking. Reading, blogging, working on my Etsy projects, catching up on Netflix…I am free to do anything I want, because I accomplished my tasks throughout the day. Have I peaked your interest? Good. Then let’s talk about strategy. Lay out your list on a time block template, allowing for short breaks in between (more on that later). As you can see, this strategy is incredibly straightforward. There are a few different methods to the approach, however. Below are the four most popular methods. The four leading time blocking strategies include: the half-hour time block, the hour time block, the 52/17 time block, and the multi-hour block. I am grouping these two strategies together because they use the same method with different time frames. Essentially, you break down your tasks by the hour or half hour, and after you complete each segment of time, you take a 10-15 minute break. 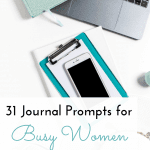 I find the 30-minute block especially effective for smaller tasks, as it helps me plow through my list without getting bogged down in the details. Are the emails piling up in your inbox? 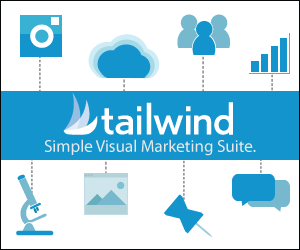 Do you have several voicemails waiting for your review? Do you need to clean up the kitchen or put away laundry? The 30-minute time block is perfect for these low-level tasks. You see, 30 minutes is long enough to get something significant accomplished, but it is short enough to really push you toward your goals. For example, when answering emails, it is easy to get long-winded, or deliberate too long over the wording of the message. But if you’re racing the clock, you’re pushed to practice concise, direct writing that gets to the point quickly and efficiently. The 60-minute time block allows room for longer/more involved tasks. I don’t know about you, but it often takes me a bit of time to “get in the zone” when I’m working on a time intensive or complex project. If I use the 30-minute time block in these situations, I find myself stuck in that transition period without ever hitting my stride. The 60-minute time block, however, allows me to really sink my teeth into the project and make progress in my work. 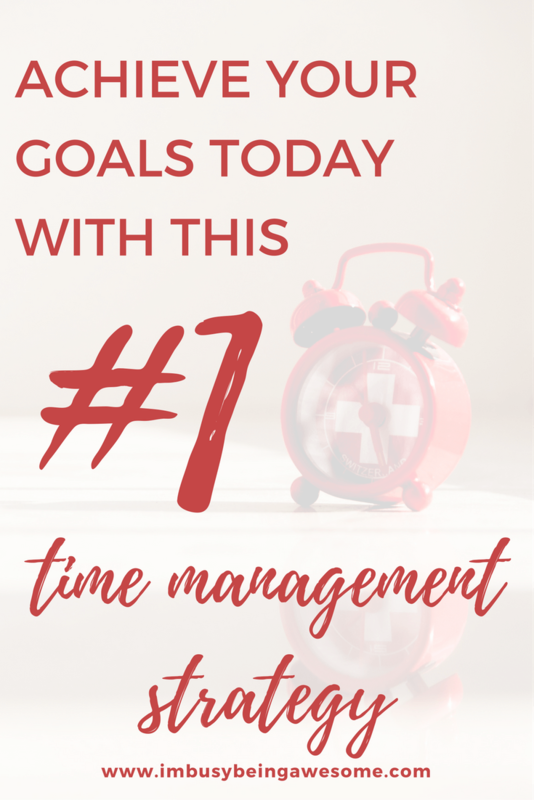 With both the 30 and 60 minute options, the process is simple; use the time block template to schedule your tasks in 30 or 60-minute sections throughout the day. Continue with the cycle of 30/60 minutes on – 10/15 minutes off, as it’s important to let your brain recharge. Go for a brisk walk, make a cup of tea, snuggle with your dog, whatever. Just make sure you don’t let that break extend past 15 minutes. Repeat until you’ve plowed through your list or you’ve reached the end of your workday. As a side note, if you have a lengthy project that lasts longer than an hour, this approach still works great. Let’s say you’re working on a 3-hour project in the morning. 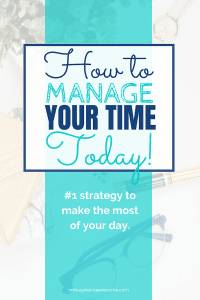 Simply schedule that task over a 3 1/2 hour period, which allows for three 60-minute sessions, as well as three 10-minute breaks. Yeah, I know. What a random division of minutes, huh? Well, there was a study done in 2014 where a business tracked the productivity habits of their employees through a productivity app called DeskTime. The discovery was quite surprising. It turns out that the top 10% of employees did not put in extra hours, nor did they even work the full eight hours of the typical workday. Rather, they took breaks. 17 minutes breaks, to be exact. After 52 minutes of work, the top performing employees took 17-minute breaks. What’s more, many would physically stand up and move away from their computers. They weren’t checking email, watching YouTube videos, reading the latest news headlines etc. Rather, they chatted with a coworker (not about work), read a book, went for a walk etc. If you’re a person who has a difficult time transitioning in and out of your productive work zone, this time block strategy might work best for you. Similarly, those who have little problem focusing on one task for extended periods of time will also latch on to this method. While the approach is the same as the above-mentioned strategies, the breaks come much less frequently. On the upside, they last for a longer period of time. Some people follow a 3-hour time block with a one hour break in between. Others prefer a 2-hour time frame with 30-45 minutes in between. Though it may sound extreme, there are certainly benefits to this time-intensive approach. If you are a person who is easily absorbed in their work, for example, the multi-hour time block is a great way to plow through lengthy tasks without distraction. I will admit that the multi-hour block is one that I don’t use much at work. I often have too many interruptions between faculty meetings, office hours, phone calls etc. And this type of schedule makes it difficult to fully immerse myself in a task and shut off all other distractions. Additionally, when I’m focusing on “work stuff,” I simply need that brain break more frequently than every 3 hours. When I am at home working on my blog, however, I do adhere to the multi-hour time frame. I have an easier time absorbing myself in the work without outside distraction. Additionally, because I’m so passionate about it, I don’t find the need for a “break” as often. So if you are in a situation where you have hours of uninterrupted time (perhaps you work from home, own your own business, etc. ), or if you are so passionate about your work that you can simply shut out distractions, the multi-hour approach might be the time blocking strategy for you. Now, I will be the first to admit that there is a learning curve here. Yes, the time blocking approach is super simple. But it also takes a bit of trial and error to understand which method(s) works best for you. Additionally, it takes some time to discover how quickly you can realistically accomplish your tasks. This was key for me. 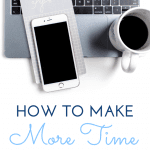 When I began the process of time blocking, I crammed my schedule with time-intensive tasks. Apparently, I was convinced that if I fit each assignment neatly into a one-hour time slot, then I would miraculously complete said task in one hour. Spoiler alert: this was not the case. Just because I scheduled an hour to write an entire lecture and create an accompanying powerpoint, does not mean that I was successful in the venture…it still took me the usual 3-4 hours. So when you begin this process, give yourself a little flexibility. Allow buffer time in your blocks for when projects inevitably take longer than you think. Additionally, make note of how long your regular tasks actually take you. As you discover your pacing, you will have an easier time making an accurate time block schedule going forward. Similarly, try out each of the 30, 60, 52/17, and multi-hour strategies. See which one(s) work best for you. You might find that you prefer different approaches at different times of the day or various days of the week. If you are more productive in the morning, for example, schedule a longer block of time for a more thought-intensive task. Alternatively, if your afternoon slump hits around 3:00, schedule in a simple 30-minute task that requires a low level of brain power. For example, 3:00-4:00 is my afternoon slump. Therefore, I block off that time slot to walk Bruno. It’s an important task that I need to accomplish, but it requires less brainpower than, say, editing my book. When you’re working in a time block format, it is critical that you turn off distractions. It is so easy to “quickly” check your email, or scroll through your Facebook feed “only for a second.” As we all know, those bits of time quickly add up; all of a sudden 30 of your 52 minutes have miraculously disappeared. Obviously, this is not effective. So silence your phone, block off a specific time to check email/voicemail, and avoid social media like the plague. The more you accomplish during these dedicated sections of “work” time, the more freedom you have at the end of the day. Yep – you can plow through your to-do list and have time for other interests at the end of the day. What more could you hope for? So that’s it, my friends. Your complete guide to time blocking. As promised, snag your FREE time blocking template here, and get started TODAY! Have you used time blocking before? Are you willing to give it a try? What method works best for you? Let me know below! Time blocking has literally changed my work life! Before, I was jumping around from task to task and nothing ever got done. 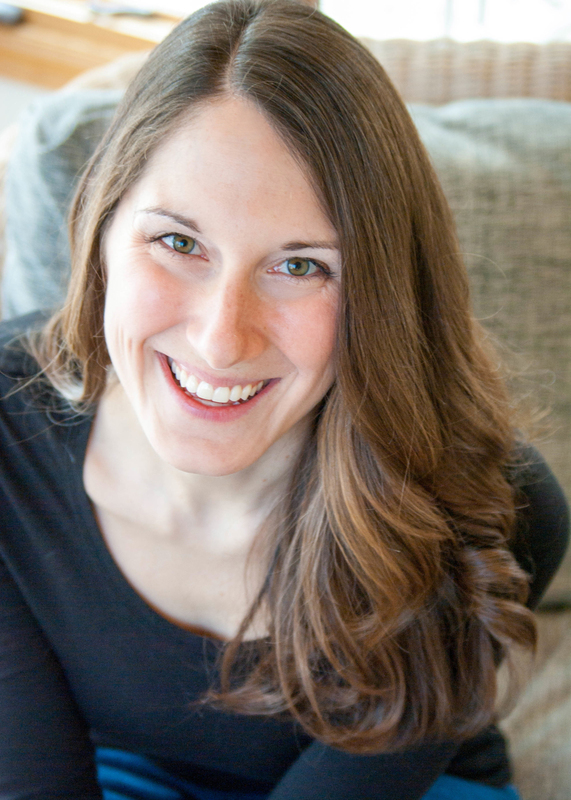 I was so overwhelmed with my growing to-do list so when I heard of this I was down to try it. I like to do 30-minute to an hour tasks and it seems to be working out pretty well. I’m thrilled to learn it works for you, too, Dyana!! I downloaded the schedule — thanks! I’ve been trying the “pomodoro technique” which is similar with 25 minutes work/5 minute break. I’m always shocked when the timer dings and never want to get up…but it really helps keep me from getting distracted AND physically active every hour! That’s fantastic, Lee! I am so happy to hear it 🙂 And it sounds like you’re CRUSHING the pomodoro technique – that’s so great! This post is so helpful, I’m going to save it for later after I get a bullet journal, thank you! Absolutely! And I’m thrilled to hear you’re starting a bullet journal 🙂 I love bullet journaling! Ok, you convinced me! I will definitely start time blocking – and adding some extra time for each task. Hooray! I’m so glad to hear that 🙂 Let me know how it goes! I love Time Blocking. It’s so helpful to stay organized and knock out a lot of things in one day. Nicely written article explaining it too.. Great Job! I do a version of this! Time blocking is useful for getting into deep work. I usually go past the time I had blocked because all I needed to do was start working. It’s like the pomodoro technique! Yes – that’s a fantastic point. 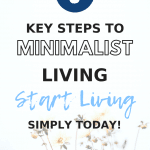 It’s a great way to simply get started, which can be such a challenge! I wonder if time blocking is good for an autistic to keep a schedule. What a great question. I don’t know enough about autism to confidently say one way or another, but that is certainly something to look into. Thanks for the suggestion! I’ve heard of time blocking, but I didn’t know all the details. This does sound like a good way to go from one task to another. Yes! Time blocking is so helpful! I lovelovelove that you also add in extra time for each task. It’s so true; things typically take longer than you expect! Exactly. As much as I’d love to think I can get everything accomplished in neat one-hour blocks, it’s just not realistic. Ha! I’ve heard a lot about time blocking recently, but your template definitely helps me understand this concept as a visual learner! Thanks! Oh boy, for someone who suffers from daily anxiety – this is definitely something I should be doing. But then I think about time blocking my entire day, and I’m even more anxious! Really though, I should definitely prioritize my to-dos on a day-to-day basis and block them into my day so I don’t lose the will and motivation (which happens frequently!) Thanks for the tips!! Yes, I can certainly understand the anxiety cycle. That being said, I find that in the end, getting it all down on paper with a clear plan of attack really eases my mind. I hope you find it helpful! I’ve been doing this for years and never knew it had a name! 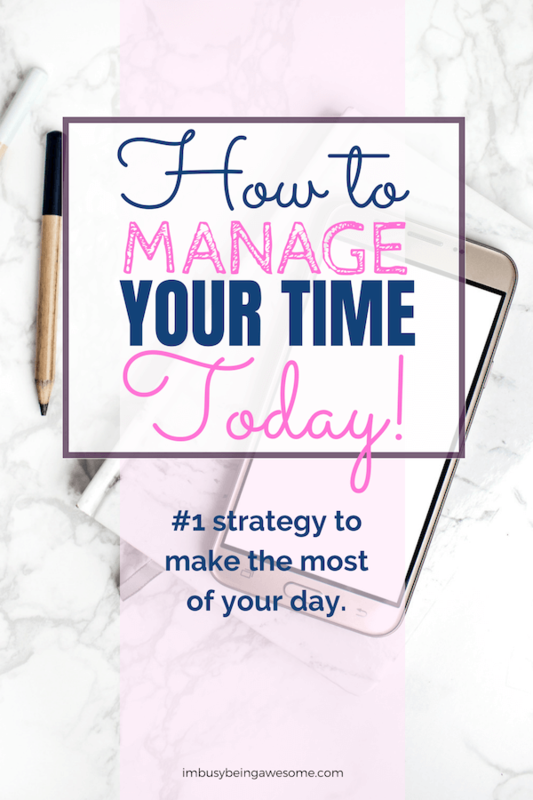 Time management is so important when you’re a work at home mama! Yes! It’s critical, isn’t it? This sounds like something I definitely need especially coming up into my final semester of college. The 52/17 division will probably work best for me when I have lots of essays and discussion boards to work on! YES! As a college professor, I highly recommend this strategy for studying and prepping for finals. I know how busy it gets for you all, and it’s so important to take breaks 🙂 Good luck! Hi Paula, Great post. I would like to add it to our list of articles on the social proof page at ScheduleU.org. LMK! Never heard of it, but it makes total sense. I’m going to try it out this week and see if it works for me. I’ll probably do longer stretches, I tend to get absorbed in things. I’ve always been a huge fan of time blocking and love practicing it with my kids as well for homework and chores. It is so helpful! I love how you’ve taught it to your kids, too. That’s fantastic! This is awesome! I love your clear and through explanations! I love time blocking! It is the only way I can get things accomplished and deadlines met! Thank you for sharing your pointers. There were a few things I wasn’t doing. Umm…how did you know that I was literally going to start time blocking today!? Also love the idea of a 17 minute break! This is great. The only way I get through my to-do list! Interesting study about the 52/17 rule. I thought so, too! What a random combination of numbers.